Is it really as straight forward as this? How does it fit in with your Diet, and is it helping you? Chapter 2: Fact or Fiction? Chapter 3: How Do You See the World? 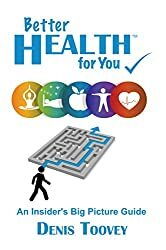 How my Better Health for You book will benefit you.